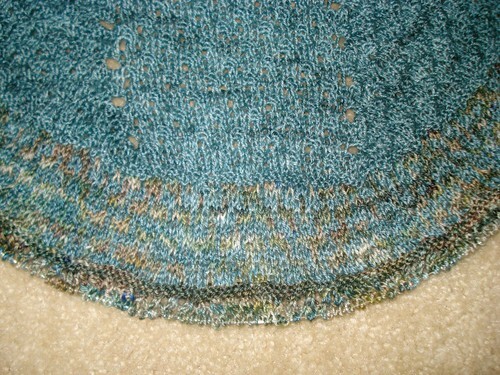 I'm through the mosaic knitting section and on to the lace edging now. The rows are moving along much faster now and I'm only working with one color for the lower edging. I'm hoping to get this done by the end of the week, and it should go pretty easily if Max doesn't walk off with my row marker from my chart. It's pouring rain this morning and I think that's supposed to continue for at most of the day - perfect knitting weather! I think I'll make a big pot of tea and settle in.